This, the first of a run of terrific film noirs that established and cemented Otto Preminger’s reputation as one of the greatest filmmakers to work in Hollywood during the post-war period, is, arguably, the European émigré’s very best. 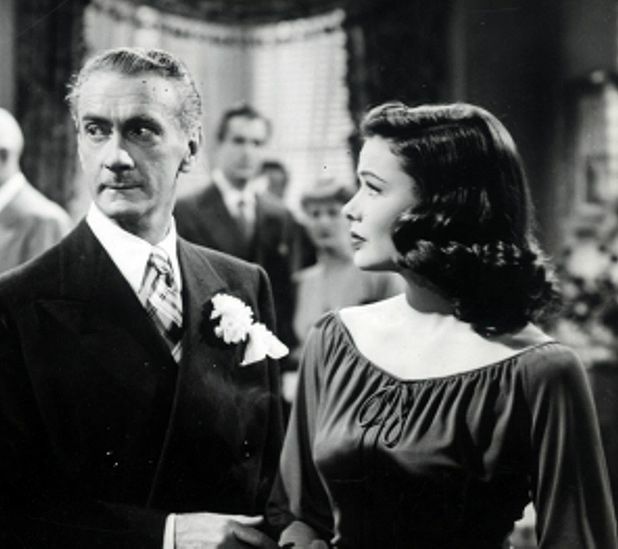 Preminger followed 1944’s Laura with Fallen Angel, Whirlpool, Where the Sidewalk Ends and, in 1953, Angel Face, all of which are rightly regarded as genre classics. However, it’s Laura (for which the director received his first Academy Award nomination) that has something extra and special. In addition to boasting canny casting, pitch-perfect performances, razor-sharp dialogue and both utterly assured and exquisitely stylish direction, this is a film that casts a powerful spell over its audience. The cinematic enchantment is derived from the heady and really quite perverse romance between square-jawed Dana Andrews’ weary, melancholy police detective and fragile Gene Tierney’s titular femme, who, as the film begins is dead, having been blasted in the face with a shotgun. To give any more of the plot away would spoil something of the film for first-time viewers, but suffice to say Preminger’s psycho-dramatic noir romance anticipates Hitchcock’s own spellbinding vision of similar material fourteen years later in Vertigo. As with Hitchcock’s film, Laura is a murder mystery, but like Vertigo it is one in which it is by no means clear not only who did it but who is the real victim. Masterpiece is a much-overused term, but in this case the accolade is wholly appropriate. Selected release from 24 Feb.
A detective (Andrews) becomes fascinated with the eponymous femme (Tierney), who as the story begins is dead – or at least appears to be. Preminger's terrific film noir is a murder mystery in which it's neither clear who did it, nor who is the real victim. A masterpiece.